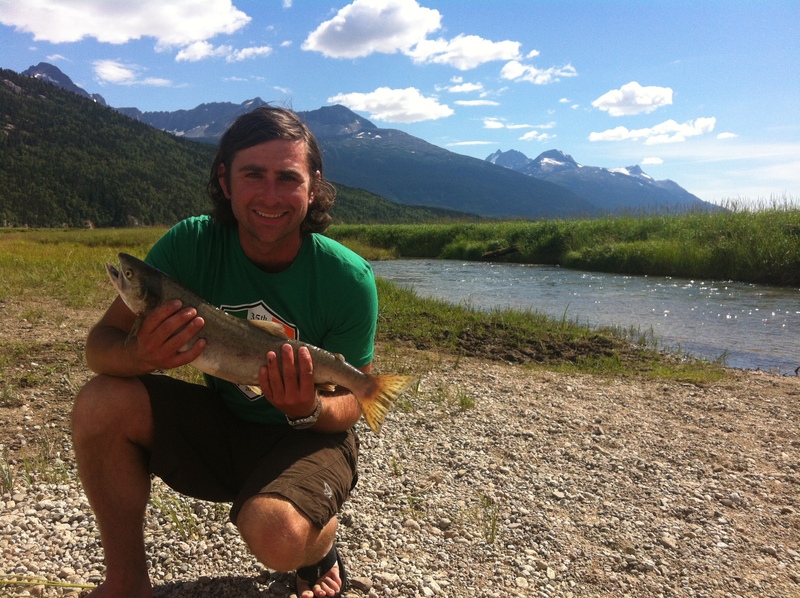 Dallas with female pink salmon. Caught while fly fishing in Dyea, AK. Dallas hasn’t been known to stay in one place for very long. He has lived in San Francisco (CA), New Orleans (LA), Barcelona (Spain), Guadalajara (Mexico), Newport (RI), Portland (OR), Skagway (AK) and passed through many other places along on the way. He has most recently finished a 7 month contract with PeopleForBikes, touring the country in support of bicycle advocacy. Dallas enjoys cycling (obviously! ), running, yoga, capoeira, and exploring the limits of his body through new movements. He has run 4 marathons, ridden his bicycle across the US and completed 3 Triathlons. Dallas speaks Spanish conversationally and Russian poorly, and enjoys immersing himself in new languages and cultures. His current goals include paying off student loans and starting a business based around travel and physical activity. Future plans for Dallas include traveling, movement, studying languages, and learning from people and cultures in all corners of the world. It's finally getting more consistently nice outside, and the snow and ice are mostly gone from the trails!